The more I follow street food the more it confuses me. The term itself is no doubt ambiguous, as any food can be sold on the street, but what has furthered my confusion is last year’s Street Food Conference set in Singapore – a city where it’s illegal to sell food on the street. Bizarre I know. So now I find the term ‘Street Food’ to be interchangeable with hawker foods including outdoor food courts and shop house restaurants. I definitely wouldn’t pen street food as a type of cuisine but more of a way in which it is sold and shared. My own definition would probably be “food which is sold at, and can be eaten on the street” and this fits well with my new local pizza shop (Yan Pizza, Sukhumvit 23). This cute and rather ingenious pizza shop now occupies a roadside shop house barely large enough to fit the chunky red brick pizza oven. And Yan Pizza sells not only pizzas but pastas with an impressive menu all prepared and cooked before the eater’s eyes and served to pop-up plastic tables and chairs next to the roadside. Yan’s street food pizza and pasta. 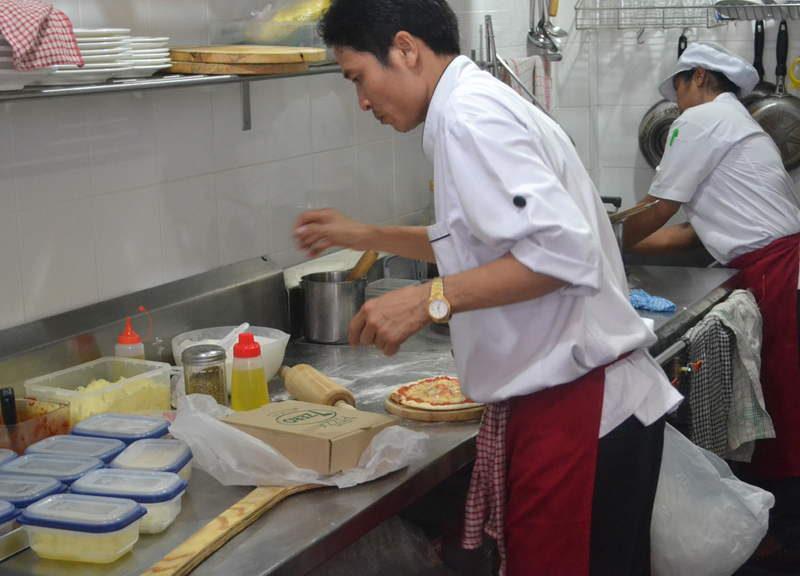 After a bit of research (Googling) it turns out Yan was a former pizza and pasta chef with the Zanotti group so he no doubt has the pizza-ing credentials. He also appears to be business savvy with a slick outfit of online media presence including a Yan Pizza website and online ordering and delivery service coming soon. Obviously the first I’ve seen with street food and shop house eateries. As Fanfan’s currently on a diet and with the shop’s next-to-no-space already occupied I am forced to the pool to eat. 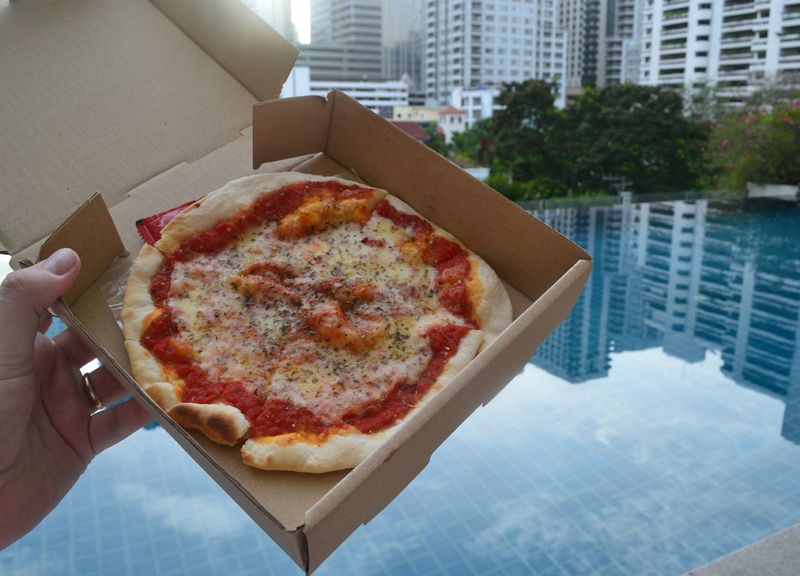 My small margarita pizza costs 70 Baht which is tiny for Bangkok prices, these are no doubt street food prices. The pizza, while not the best I’ve scoffed it was impressive and competing against well established restaurants it may already hold its own. Would I recommend it? If nearby I’d definitely grab a slice but, as with Bangkok, it’s not worth traversing the city for. 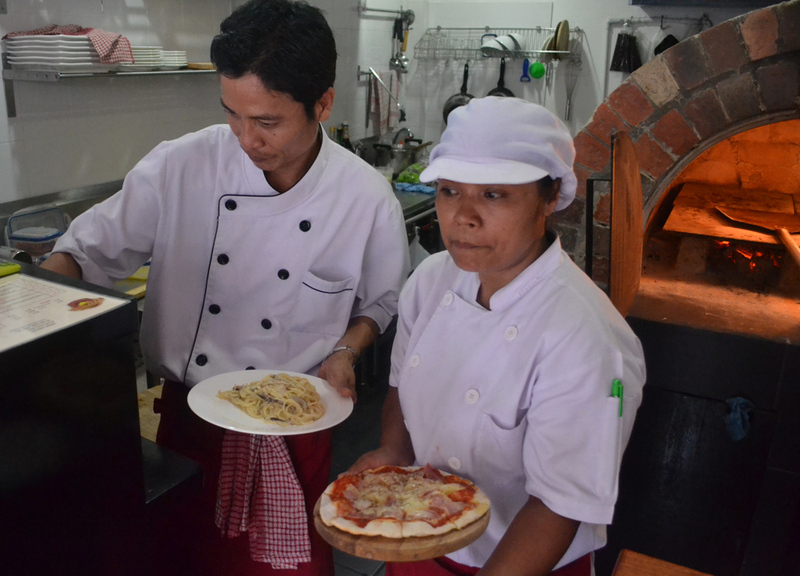 It is a simple local pizza shop and it works well for the mixed, multi-cultural area in which it’s based. 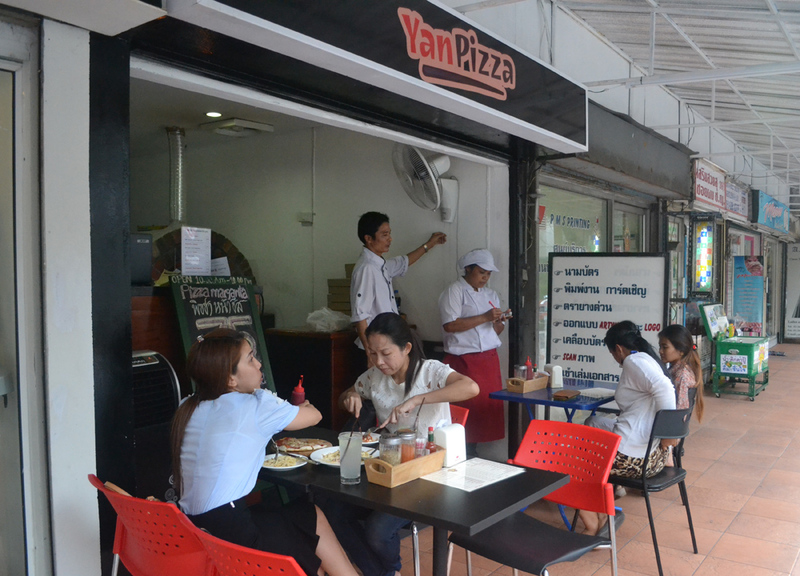 If looking for Yan Pizza it sits directly opposite Prasarnmit Plaza nestled between a print shop and a hairdresser on the mid street between Sukhumvit 23 and the Asoke Road. Sounds like it’s just near Chef Bar. Did it pop up recently? Man, tells you how fast things change. Seems like there’s definitely plenty of pizza in this stretch of Sukhumvit (Pala at Asoke and Peppina opening soon) and I think all of us Bangkok foodies have some proper thanking these Zanotti folks to do, their old chefs are doing cheap Italian food all over the city! Yup a couple down from Chef Bar and it arrived in the past couple months, it felt like it was set up overnight. Everyday it is packed full (all four seats 😀 ) and Yan’s always there grinning away. A new place popped up in a similar way a few doors down selling Gyoza and Taco Yaki. 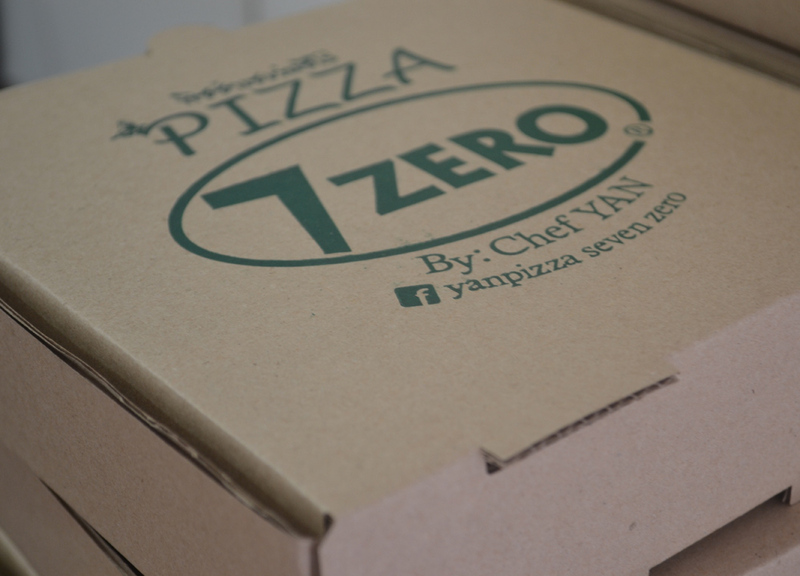 I tried Yan pizza, and I found it was like eating cardboard. Something I wouldn’t recommend.